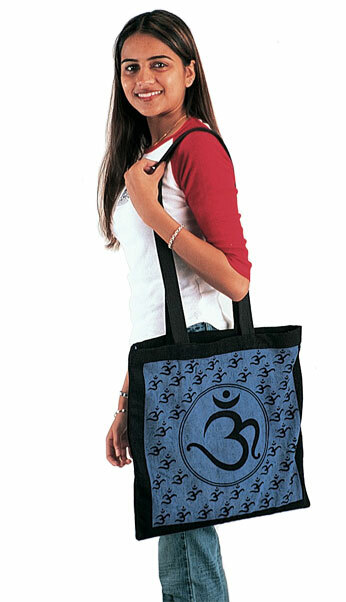 A bold and decorative Om radiates out from the center of this lovely bag with a field of smaller Om symbols surrounding. Heavy 100% Cotton in three attractive colors, Blue, Gold and Tan. 18x18" with long handle. Made in India.